Blacksburg Chinese School (BCS) is a non-profit 501(c)3 organization. Our mission is to promote cultural awareness and harmony and to be an active and contributing member of our diverse society. We provided cross-cultural education in Blacksburg and the surrounding community. 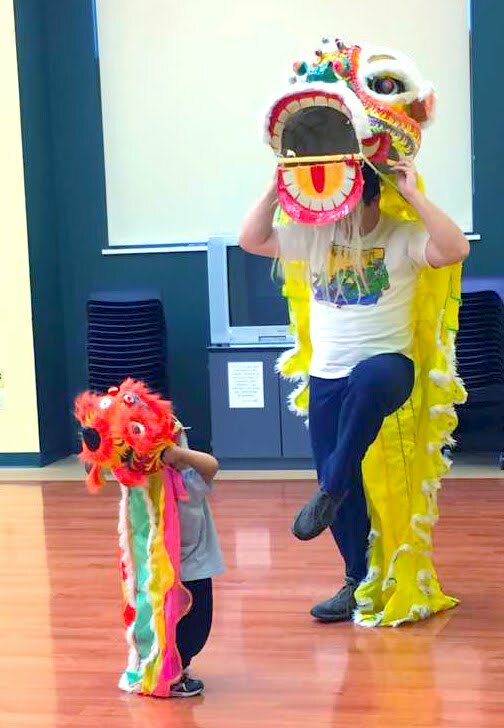 We offer weekend and after-school Chinese language classes and several different cultural class such as Chinese yo-yo, Chinese dance, and martial art classes. We strive to foster connections with the greater NRV community through regular cultural activities and events. Blacksburg Chinese School BigGiveNRV started this moth. To support us, you can click the link in the giving section on this page, or click here. Besides, Blacksburg Chinese School will join the VT's 60th International Street Fair. Welcome to join us! We also have other activities. For the detailed information, please go to the page of the March newsletter by clicking on the below link. And wise all of you have a wonderful springtime. Blacksburg Chinese School hosted several celebrations for Chinese new year. And the BCS dance group gave their beautiful performances. For the detailed information, please go to the page of the March newsletter by clicking on the below link. And wise all of you have a wonderful springtime. Blacksburg Chinese School (BCS) is a non-profit 501(c)3 organization. Community support is essential to our mission. It allows us to keep tuition affordable. Class starts on Jan 6. The class registration is already now. Class starts on Jan 23. Class starts on Feb 5. Class starts on Jan 26.